The 2018 WPIAL playoff field is set. Yesterday, the brackets were unveiled. Later in the week we will be previewing all 30 of the first round games which will take place on Friday Night beginning at 7:30pm. For now, here is a quick look at the teams that reached the 2018 postseason in Classes 3A, 2A, and 1A and their notable playoff history. A separate post with the Playoff Primer on Classes 6A, 5A, and 4A is here. For reference, there were only 3 classifications of WPIAL football prior to 1980 and the PIAA Championship was not instituted until 1988. Classifications in the 6-classification model that started in 2016 are labeled with numbers (i.e. “4A”) while prior to 2016 they are labeled with just letters (i.e. “AAAA”). How they got here: Derry needed overtime in Week 1 to get past Freeport then asserted themselves with a dominant 27-0 win over North Catholic. A 25-22 setback against Elizabeth Forward was their only loss, which created a 3-way tie atop the conference. RB Justin Flack scored 29 TDs this season, including 8 in Week 7 against Yough. Recent History: Derry is making their 3rd consecutive playoff appearance. They reached the 3A semifinals in 2016, which marked their first playoff win since 1995. Best Playoff Result: Derry Township was awarded the 1930 WPIAL Class A Championship based on Gardner Points. Derry lost in the 1945 AA Championship Game to Dormont 30-19. How they got here: Since their 27-0 loss to Derry in Week 4, the Trojans have been on fire, allowing just 10 points in their last 5 games and averaging 50 points per game in that span. Junior QB Zack Rocco threw for over 1500 yards, the second-highest total in 3A. Recent History: North Catholic is making their 7th consecutive playoff appearance and 12th in the last 13 years. 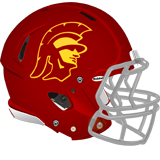 The Trojans have reached the semifinals 5 of the last 6 seasons and won the WPIAL and PIAA Championship in 2013. Best Playoff Result: Won the WPIAL Class A Championship in 2013, defeating Sto-Rox 14-0. Won the PIAA Class A Championship in 2013, defeating Old Forge 15-14 in overtime. How they got here: The Warriors navigated a tough stretch against 4 playoff teams, getting a 6-point win over Freeport, a 1-point win over Quaker Valley, and a 3-point win over Derry before falling to North Catholic 27-0. Recent History: This is the second straight year that Elizabeth Forward and Derry have been involved in a 3-way tie for a conference title. The Warriors have not won a playoff game since 2000. 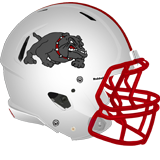 Best Playoff Result: Elizabeth Forward reached the WPIAL AAA semifinals in 1985, 1990, and 1999 but has never reached a WPIAL Championship game. How they got here: The WPIAL schedule-makers did not do Freeport any favors. Their season started with three straight losses to Derry, North Catholic, and Elizabeth Forward – two of them by six points. The Yellow Jackets bounced back to win 5 straight games over the rest of the conference and lock up a playoff spot. Recent History: This is Freeport’s 3rd playoff appearance in the last 4 years. They reached the AA semifinals in 2015. 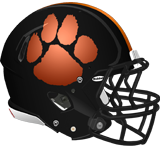 Best Playoff Result: Freeport reached the WPIAL AA Championship game 7 times but has never won. They lost to Montour in 1963, Burrell in 1967 and 1968, Beaver in 1972, Albert Gallatin in 1974, Jeannette in 1981, and Steel Valley in 1989. How they got here: After parting ways with long-time coach Mike Zmijanac and hiring former Quip QB Mike Warfield, the “Air Warfield” offense looked dominant through 9 games. The Quips were averaging 55 points per game and looked like an unstoppable force, until Week 9 when a rainy night and stingy Central Valley defense held them to just 8 points and the Warriors sprung a 14-8 upset. Aliquippa is still loaded with playmakers including 3A’s leading passer Eli Kosanovich, 1000-yard receiver Will Gipson, 1100-yard rusher Avante McKenzie, and the multi-dimensional MJ Devonshire who tied a national record with 8 punt return TDs this season. 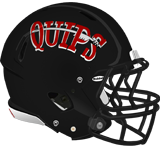 Recent History: Aliquippa is making their 24th consecutive playoff appearance, tied with Thomas Jefferson for the longest active streak. The Quips have reached Heinz Field in each of the last 10 seasons. 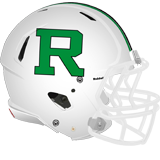 However, in the last two years they were upset in the title game by conference rivals, falling to Beaver Falls in 2016 and Quaker Valley in 2017. Best Playoff Result: Won the most WPIAL Championships of any school (16). Won WPIAL AAA Championship in 1952, 1955, 1964, 1984, 1985, 1987, 1988, and 1989. Won WPIAL AA Championship in 1991, 1996, 2000, 2003, 2008, 2011, 2012, and 2015. Won 1991 and 2003 PIAA AA Championships. How they got here: After a rough 2017 season that saw a number of graduations, transfers, and injuries, Beaver Falls bounced back in a big way in 2018. The Tigers only loss to a 3A opponent came in Week 4 against rival Aliquippa. 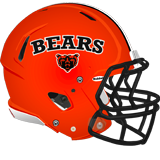 Recent History: Beaver Falls is making their 11th playoff appearance in the last 12 years. In 2016, Beaver Falls defeated Aliquippa 35-22 in the WPIAL Championship then went on to beat Middletown 30-13 and win the State Championship. Best Playoff Result: Awarded the WPIAL AAA Championship in 1928 and 1960 based on Gardner Points (no Championship Game). Won 1984 WPIAL AA Championship over Riverside 14-13. Won the WPIAL and PIAA 3A Championship in 2016. How they got here: The defending 3A State Champions took some time to fill in for their large graduating class, dropping 3 of their first 4 games. The Quakers bounced back to win 4 out of their last 5. A Week 1 victory over Central Valley enabled them to hold on to third place in the conference. 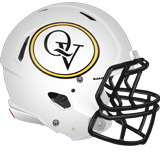 Recent History: This is Quaker Valley’s second consecutive playoff appearance and 3rd in the last 6 years. Last year they upset Aliquippa 2-0 in the WPIAL Championship and went on to win the State Championship, defeating Middletown 41-24. Best Playoff Result: Last year’s WPIAL and PIAA Championship was Quaker Valley’s year in school history. Sewickley High School tied Glassport for the 1938 Class A Championship (no overtime) and lost in the 1939 Championship Game to Masontown. Leetsdale lost the 1942 Class A Championship Game to Bridgeville. How they got here: It was a tale of two halves for the Warriors who got off to an 0-4 start then won 5 of their last 6 games, including a 14-8 upset of Aliquippa in Week 9. Central Valley has a number of new starters this year and it took some time for the team to come together, but they have certainly improved as the year has gone on. 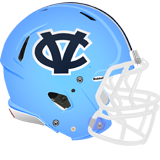 Recent History: Since the merger of Center and Monaca School Districts in 2010, Central Valley has made at least the semifinals in each of their first 6 seasons. However, since the change to 6 classifications and their drop to 3A, they missed the playoffs once and have not won a playoff game since falling to Thomas Jefferson in the 2015 AAA Championship. Best Playoff Result: Won WPIAL Championship in 2010 and 2014. Monaca won the WPIAL Class A Championship in 1975, 1982, and 1985. Lost 33-14 to Archbishop Wood in the 2014 PIAA Championship Game. How they got here: After moving down from 3A, the Indians rolled through their 2A slate to the tune of 50 points per game. QB Skyy Moore became the first WPIAL player to ever have TWO seasons with 1000 passing yards and 1000 rushing yards. Recent History: This is Shady Side Academy’s first playoff appearance since 2014. The Indians have not won a playoff game since 2011. Best Playoff Result: Won the 1998 WPIAL AA Championship, defeating Washington 30-12. Lost to Mt. Carmel 44-7 in the 1998 PIAA AA Championship Game. How they got here: The Ironmen suffered their first regular season loss since 2015 when they fell to Shady Side Academy in Week 3. Since then, Steel Valley won 6 in a row, breaking the 40-point mark in each game. Steel Valley had two players (Kam Williams and Todd Hill) rush for over 1200 yards this season. 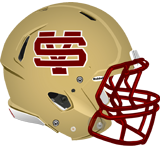 Recent History: Steel Valley is making their 11th playoff appearance in the last 13 years. The Ironmen won the 2016 WPIAL and PIAA Championships. Last season they made it back to the WPIAL Championship but fell to Washington. Best Playoff Result: Won 1982 WPIAL AAA Championship, 1988 and 1989 WPIAL AA Championships, and 2016 WPIAL 2A Championship. Won the 2016 PIAA Championship, defeating Southern Columbia 49-7. How they got here: The Lopes lost to Steel Valley in Week 2 then went on a 5-game winning streak before dropping back-to-back games to McGuffey and Shady Side Academy at the end of the season. All three of their losses have been close and the Lopes are never out of a game thanks to 2A’s leading passer Derek Johncour who threw for over 2300 yards. Recent History: Avonworth is making their 11th consecutive playoff appearance. They reached the Class A Championship Game in 2014 and have only lost in the first round twice in the last 10 years. Best Playoff Result: Tied Union 13-13 in the 1959 Class A Championship Game (no overtime). Lost to Clairton 46-14 in the 2014 WPIAL Class A Championship. How they got here: East Allegheny beat Valley in a Week 9 Casket Match to secure a playoff spot. 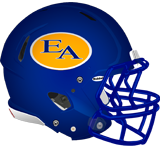 Recent History: East Allegheny is making their 3rd straight playoff appearance. Last year they defeated Mohawk in the first round, which was their first playoff victory since 2000. Best Playoff Result: Won the 1992 WPIAL AA Championship, defeating Riverside 33-13. Lost in the 1992 PIAA Championship Game to Valley View 21-13. How they got here: The Cougars got off to a roaring start to the season with a 64-33 pounding of defending 2A Champions Washington. Their only loss came by 1 point against Beth-Center. Charleroi had the second-highest scoring offense in 2A, averaging 51 points per game. 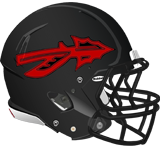 Recent History: Last season Charleroi made their first playoff appearance since 2004 and were upset in the first round by Avonworth in a game where they committed 6 turnovers. Best Playoff Result: Charleroi was awarded the 1936 WPIAL AAA Championship on Gardner Points and defeated Aliquippa 13-12 in the 1959 Championship Game. How they got here: Washington bounced back from their Week 1 loss to finish as the highest-scoring team in 2A at 52.3 points per game. The Prexies did have some close calls down the stretch, allowing 36, 35, and 36 points in their last 3 outings. Recent History: Washington is making their 8th consecutive playoff appearance and 9th in the last 10 years. 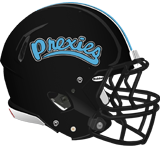 The Prexies won the WPIAL 2A Championship 37-10 over Steel Valley last year then lost in the PIAA semifinals to Wilmington 49-42. Best Playoff Result: Tied Johnstown 0-0 for the 1917 WPIAL AAA Championship. Won the 1920 and 1926 WPIAL AAA Championship. Declared the 1923 WPIAL AAA Champion. Won the 1993 and 2001 WPIAL AA Championship. Won the 2017 WPIAL 2A Championship. Won the 2001 PIAA Championship, defeating Pen Argyl 19-12. How they got here: The Highlanders started 7-0 but dropped 2 of their last 3 games heading into the playoffs. McGuffey is led by the WPIAL’s leading scorer Christian Clutter who scored 37 TDs this season. 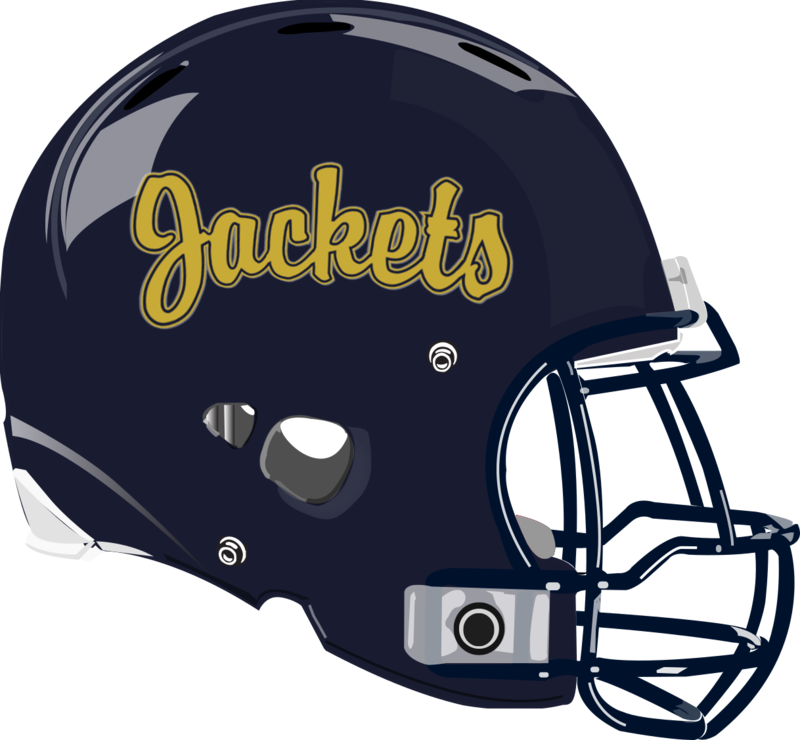 Recent History: McGuffey made the playoffs in 2014 and 2015 and this is their first appearance during the 6-classification era. Their last playoff victory came in 1994 when they won the WPIAL AAA Championship. This is just their 5th playoff appearance since that title. Best Playoff Result: Defeated Blackhawk 12-6 in the 1994 AAA Championship after losing to Blackhawk in the title game the year prior. Lost to Sharon 14-7 in the 1994 PIAA semifinals. How they got here: The Bulldogs won their first 4 games but one just 1 of their next 4 during the middle of the season. That one game was a 1-point upset of first place Charleroi, which kept them in the playoff hunt. Ultimately, it took a Week 9 Casket Match win over Frazier to secure their spot. QB Bailey Lincoski joined the elite group of players who have passed for 1000 yards and rushed for 1000 yards in the same season. Recent History: Beth-Center is making their 16th consecutive playoff appearance. They have not won a playoff game since 2010. Best Playoff Result: Won the 1975 WPIAL AA Championship, defeating Kittanning 13-0. 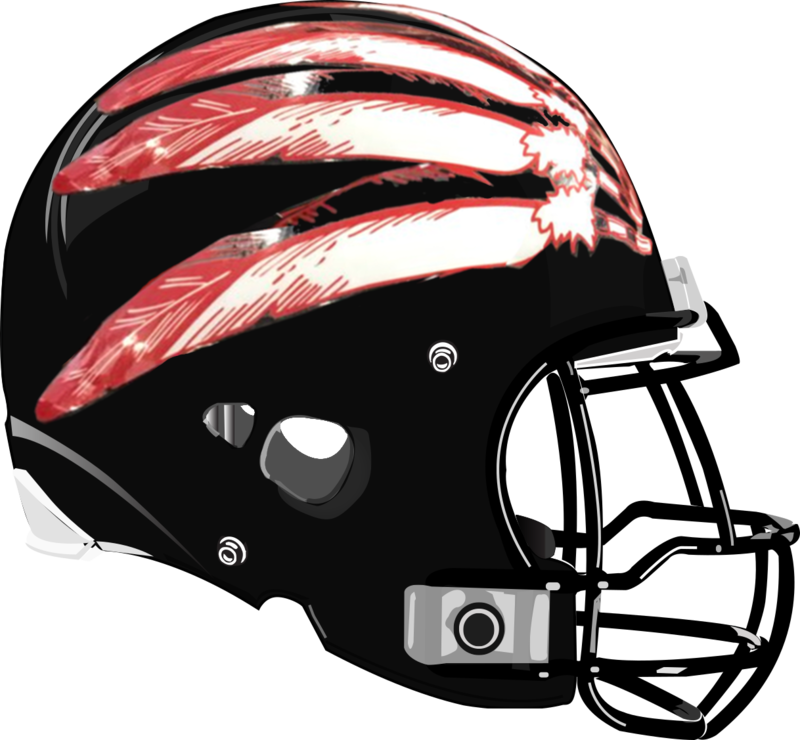 How they got here: After going winless in 2016, Mohawk made the playoffs in 2017 and won the Conference Title in 2018. The Warriors bounced back from a Week 2 loss to Neshannock to beat Freedom, which wound up being the decisive game for the Conference Title. Mohawk is led by 2A’s leading rusher Brayden Cameron who has run for over 1400 yards. Recent History: Last year was Mohawk’s first playoff appearance since 2005. Best Playoff Result: This is only the Warriors 6th playoff appearance all-time. Their best result was reaching the quarterfinals in 2005. How they got here: For the second year in a row, Freedom lost their coach at the tail end of the regular season, this time for some incredibly disturbing charges. Unlike last year, the 2018 Bulldogs are entering the playoffs on a run, sporting a 6-game winning streak. Their only defeat was a 6-point loss to Mohawk. Recent History: This is Freedom’s 3rd straight playoff appearance, the first time that has happened in school history. 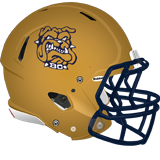 The Bulldogs defeated East Allegheny in the first round last year and lost to Riverside in the quarterfinals. That victory over East A was their first playoff win since 2003. Best Playoff Result: Freedom has made it to the WPIAL semifinals 3 times in school history. They lost to Union in 1973, Laurel in 1977, and Aliquippa in 2003. How they got here: New Brighton went winless in conference play in 2017 and started this year just 1-4. But the Lions came together with a Week 5 win over Neshannock and won 4 of their last 5 games, including a Week 9 win over Riverside to claim 3rd place in the conference. 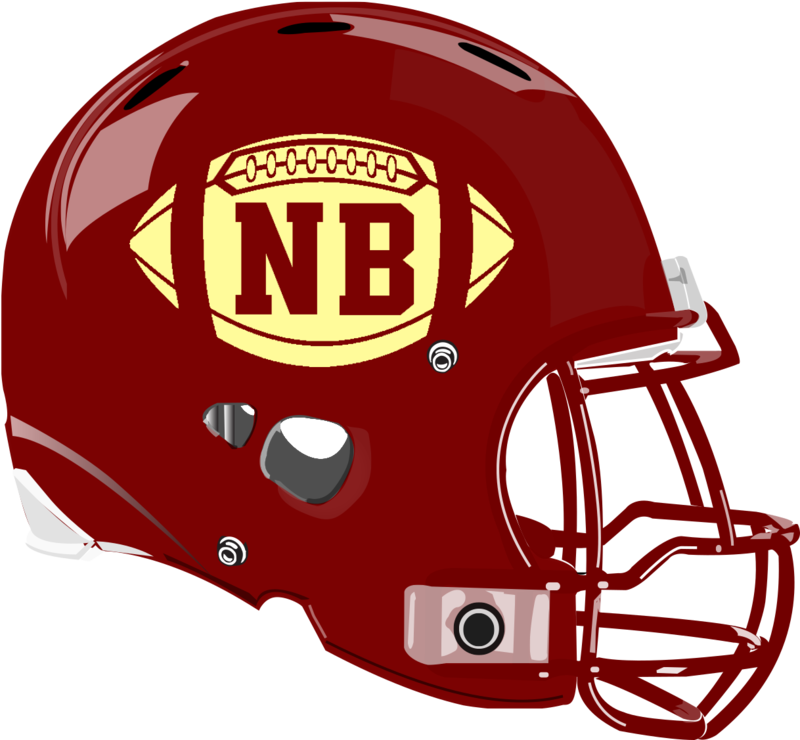 Recent History: New Brighton made the playoffs in 3 straight seasons from 2013-2015. The Lions have not won a playoff game since a run to the semifinals in 2001. 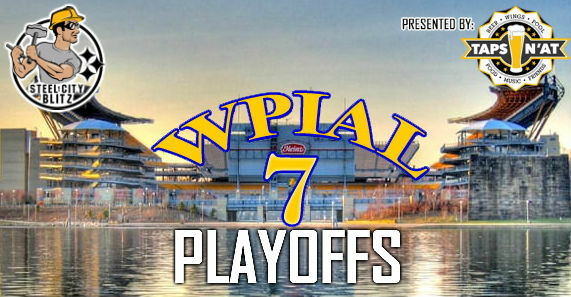 Best Playoff Result: Tied Canonsburg for the 1950 Class A (became AA) WPIAL Championship (no overtime). Defeated Ramsey 33-0 in the 1951 WPIAL Class A Championship. Defeated Jeannette 35-6 in the 1994 WPIAL AA Championship. Lost to Forest Hills in the 1994 PIAA semifinals. How they got here: Riverside did not play a close game through the first 8 weeks. Their only 1-score game (win or lose) was their Week 9 loss to New Brighton. The Panthers took care of business against the bottom teams in the conference but also suffered big losses against the top teams. Recent History: This is their 4th playoff appearance in the last 5 years. Riverside lost to Steel Valley in the semifinals each of the last two seasons. Best Playoff Result: Reached the WPIAL AA Championship 5 times in a 10-year span between 1984 and 1993. Won the 1985 AA title, defeating Swissvale 21-15. How they got here: The Blue Devils rode a stifling defense that allowed just 43 points all season (4.8 points per game) to their first conference title since the 1970s. Recent History: Burgettstown is making their 4th consecutive playoff appearance. Last year’s first round victory over Neshannock was their first playoff win since 1977. Best Playoff Result: Awarded the 1929 WPIAL Class B (became Single-A) Championship based on Gardner Points (no Championship Game). Won the 1941 WPIAL AA Championship Game 34-7 over Crafton. 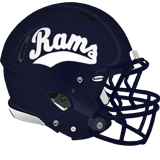 How they got here: The Rams got off to a 4-0 start then dropped back-to-back games to Burgettstown and Brentwood. They rebounded to win 3 straight, including victories over South Allegheny and Seton LaSalle that secured their playoff spot. 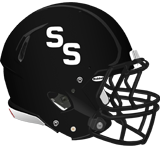 Recent History: South Side Beaver is making their 4th playoff appearance in the last 5 years. Their last playoff win came in 2014. Best Playoff Result: Won 1970 and 1999 WPIAL Class A Championships. Won 1999 PIAA Class A Championship, defeating Southern Columbia 27-21. How they got here: Seton LaSalle moved down to 2A this season and had an up-and-down year. 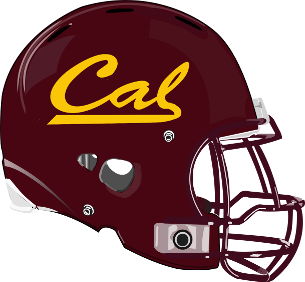 Their Week 8 blowout win over Serra Catholic put them in position to make the playoffs, but they got a scare from Carlynton in Week 9 and needed overtime to get the win. 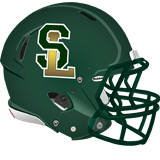 Recent History: Seton La Salle is making their 8th playoff appearance in the last 9 years. They have not lost in the first round during that span and reached the semifinals three times. Best Playoff Result: Won the 1979 and 1980 WPIAL AA Championships. Won the 1990 WPIAL AAA Championship. Won the 2002 and 2004 WPIAL AA Championships. 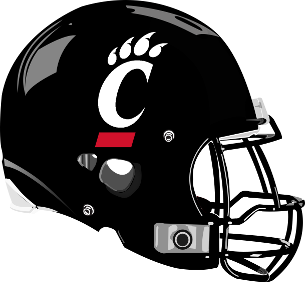 Lost twice in PIAA Championship games in 1990 (AAA) and 2002 (AA). How they got here: Serra’s won 3 of their last 4 games, including victories over Brentwood and South Allegheny which gave them a chance to make the playoffs. Recent History: This is Serra’s 3rd straight playoff appearance after a 6-year drought. Their first round victory last year was the Eagles’ first playoff win since they won the 2007 WPIAL title. 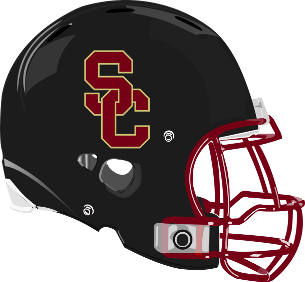 Best Playoff Result: Won two WPIAL Class A Championships, defeating Clairton 12-0 in 1981 and defeating Springdale 10-6 in 2007. 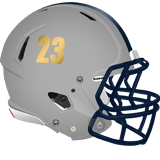 Lost to Steelton-Highspire 34-15 in the 2007 PIAA Class A Championship. How they got here: OLSH defeated Rochester in Week 3 and cruised through the rest of their conference schedule to win their second straight Big Seven Conference title. Their only setback was a 15-point loss to Jeannette. 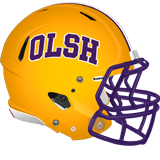 Recent History: OLSH started playing WPIAL football in 2010 and made the playoffs for the first time in 2016. Last year, they got their first playoff victory when they defeated Springdale. They have fallen to Imani Christian each of the last two years. Best Playoff Result: OLSH reached the Quarterfinals last year, losing to Imani Christian 20-12. How they got here: The Rams only setback was a Week 3 loss to OLSH. Rochester averaged 36 points per game with a strong ground attack led by 1500-yard rusher Noah Whiteleather. Recent History: Rochester was one of the dominant programs in Class A in the 1990s and 2000s, reaching 11 Championship Games and winning 7 WPIAL titles between 1990 and 2010. The Rams ended a 3-year playoff drought last year and reached the semi-finals before falling to Jeannette. 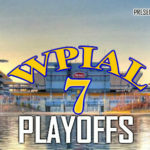 Best Playoff Result: Won the WPIAL Class AA title in 1991, 1992, 1998, 2000, 2001, 2002, and 2004. Tied Westinghouse 0-0 in the 1921 AA Championship Game. Won the PIAA Class A Championship in 1998, 2000, and 2001. How they got here: After winning the WPIAL and State Championship last year, Jeannette has continued their run with a perfect regular season. The Jayhawks capped it off by winning the Conference Title with their second win in a row over Clairton. Recent History: Jeannette has reached the WPIAL Championship in 3 straight seasons. They defeated Imani Christian by a point in last year’s WPIAL title game then rolled on to the State Championship where they defeated Homer-Center to win their second PIAA title. 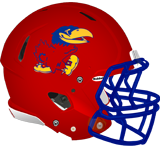 The Jayhawks have only missed the playoffs twice since 1994 (most recently in 2013). Best Playoff Result: Tied McKeesport and New Castle for the 1932 AAA title on Gardner Points (no Championship game). Won the 1939 and 1956 WPIAL AAA Championship. Won the WPIAL AA Championship in 1971, 1981, 1983, 2006, and 2007. Won PIAA AA Championship in 2007, defeating Dunmore 49-21. Won the WPIAL and PIAA 1A Championships in 2017. How they got here: Clairton’s dominant defense consistently shut teams down and put the ball in the end zone to bolster their offensive attack. Clairton pitched 3 shutouts and held opponents to just 8 points per game. Recent History: Clairton is making their 13th consecutive playoff appearance. They have won 9 of the last 12 WPIAL Championships. The Bears won three straight WPIAL titles from 2014-2016 but lost to Jeannette in the semifinals last year. Best Playoff Result: Clairton has won 13 WPIAL titles, the second-most behind Aliquippa’s 16 titles. Awarded the 1929, 1931, and 1954 WPIAL AAA Championship based on Gardner Points (no Championship Game). Won the WPIAL Class A Championship in 1989, 2006, 2008, 2009, 2010, 2011, 2012, 2014, 2015, and the WPIAL 1A Championship in 2016. Won PIAA Class A Championship in 2009, 2012, 2011, and 2012. How they got here: Imani had an explosive offense this season, averaging 39 points per game, the second-best in 1A. The Saints have a dynamic passing attack as BOTH Rahmon Hart and Dashaun Wright topped 1000 receiving yards. Recent History: Imani made the playoffs for the first time in school history in 2016. They followed that up with a run to the WPIAL Championship last year where they fell to Jeannette. Best Playoff Result: Imani Christian’s 1-point loss to Jeannette in the 2017 WPIAL Championship was their deepest playoff run in their short history of WPIAL competition. How they got here: The Pioneers won the coin flip to secure the top spot in the three-way tie atop the Tri-County South Conference. West Greene defeated Monessen in Week 4 but lost to California in Week 6 which created the 3-way tie. 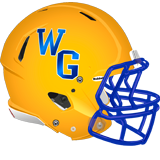 Recent History: Last year was West Greene’s first playoff appearance since 1993, breaking the third-longest playoff drought in the WPIAL. This year was their first Conference Title since that 1993 season and marks their first back-to-back playoff appearances since 1992-1993. 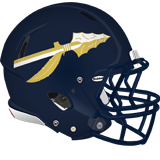 Best Playoff Result: West Greene reached the Class A WPIAL Championship Game in 1993, but fell to Duquesne. How they got here: Monessen started the season on a high note with a 30-20 victory over defending conference champions California. Their Week 4 loss to West Greene created the potential 3-way tie scenario. The Greyhounds finished second on the coin flip but were given the #8 seed by the WPIAL. Recent History: Monessen returned to the playoffs last season after a 3-year drought. Prior to that, they had made the playoffs in 26 of 29 years, dating back to 1985. Best Playoff Result: Won the WPIAL AAA Championship in 1930 and 1961. How they got here: Last season the Trojans rolled through the regular season en route to the #1 overall seed in 1A. This year, they started off with a struggling 1-4 start (although 2 of those losses came against 2A schools in non-conference play). They returned to form in the second half of the season, rattling off 5 straight wins. Recent History: This is California’s third straight playoff appearance after a 4-year drought. Prior to that, the Trojans had made the playoffs in 12 of 13 years but only won two games. Their two wins en route to the WPIAL semifinals last year equaled that total from 1999-2011. Best Playoff Result: Won the 1949 AA Championship, defeating Dormont 38-6. Lost the AA Championship Game in 1965 and the Class A Championship Game in 1986.